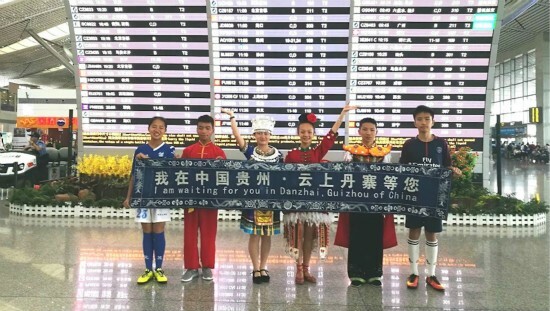 Six FIFA Flag Bearers from Danzhai at the StadiumKids from China’s Poverty-Stricken Danzhai County walk onto world stage as FIFA Flag Bearers. 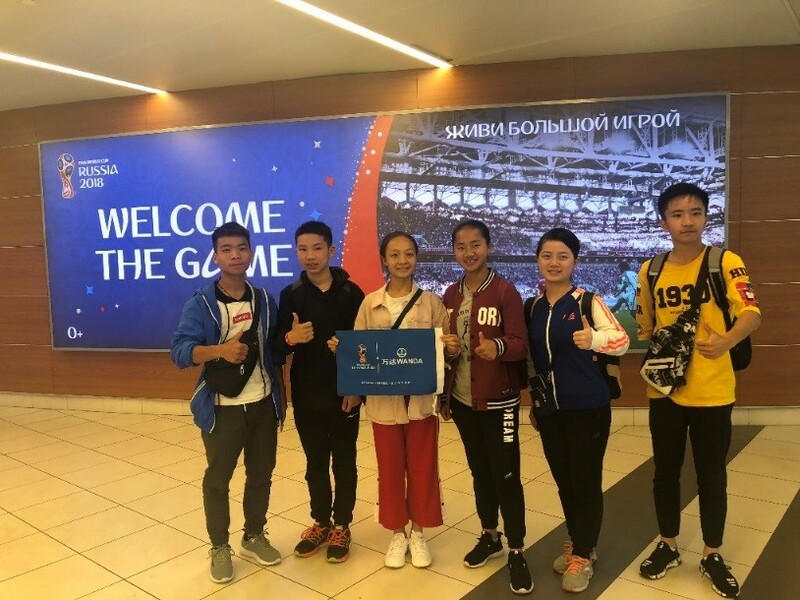 MOSCOW, 14TH JUNE 2018 – Official FIFA Partner Dalian Wanda Group is bringing six children from a poverty-stricken area in China to the 2018 FIFA World Cup™ opening game as the FIFA Flag Bearers in the Luzhniki Stadium in Moscow, Russia. All six children are from Danzhai, a county in Southwest China where Wanda has helped build schools and lift families out of poverty. Wanda has dedicated its first FIFA World Cup moment as the only top-level sponsor of FIFA in China to the underprivileged children it’s supporting. 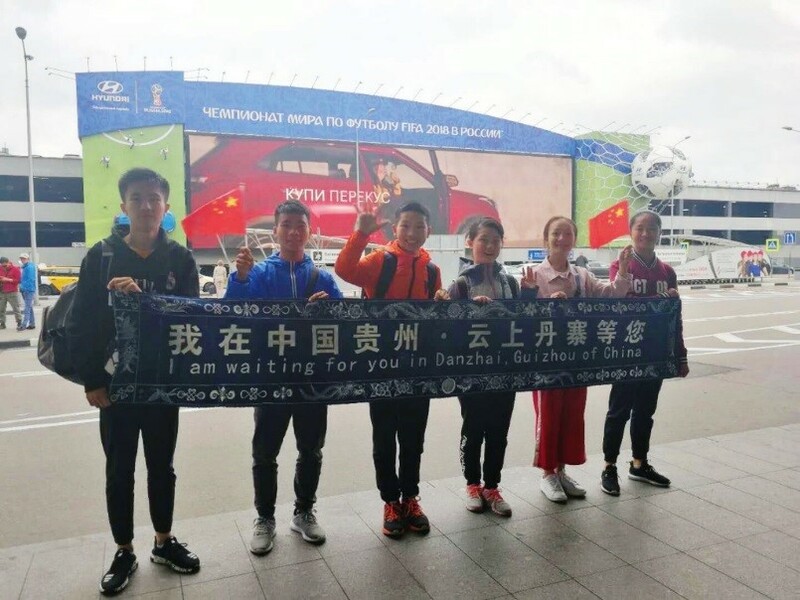 The curtain raiser match will see the six boys and girls, Mo Qiu, Wang Meilun, Wang Bangjian, Zhou Lulu, Yang Changsheng and Jiang Xiao, selected through a talent contest, carry the official FIFA Flag onto the pitch during the pre-game line-up ceremony for host Russia and Saudi Arabia. It is a dream-come-true experience for these children to go abroad for the first time and stand in the center of the world football stage watched by billions of fans around the world. After the ceremony, they will join the audience to watch their first FIFA World Cup match live. “I’ve dreamt about this moment so many times and I still feel like I’m in a dream,” said Zhou Lulu, a student from Danzhai Ethnic Vocational School. In 2014, Wanda launched its poverty alleviation program in Danzhai, Guizhou Province. It has donated a total of 1.6 billion yuan (about US$250 million) in the region to build a tourism resort, a vocational school, and provide financial aid to low-income families. With the support from Wanda, Danzhai has transformed into a popular destination known for its breath-taking landscape and rich ethnic culture. "I brought our ethnic costume to Russia. I hope to perform our traditional Jinji dance for friends I meet in Russia and show the people there the beauty of our culture," said Zhou Lulu. The FIFA World Cup Flag Bearer Program is one of the exclusive rights granted to Wanda by FIFA. Wanda has recruited 384 teenagers from the ages of 12 to 17 worldwide to act as FIFA Flag Bearers at every FIFA World Cup match. As a global brand rooted in China, Wanda will be working alongside FIFA to affect real progress and change, both in China and around the world, and create new experiences that excite the current generation of players and fans, as well as inspiring the next.